South Florida home sales were mixed in January, with single-family sales down and condo sales up, but prices continued moving in the same direction: upward. The Florida Realtors reported that single-family home sales in the tri-county area declined 0.9 percent to 2,957, compared to the same month a year ago. The median sales price increased 6.5 percent to $330,000. January was a slow volume month across the state. Statewide, single-family home sales were down even sharper, at 1.3 percent to 16,564, while the median sales price grew 9.1 percent to $240,000. The number of sales were down in the state’s other big metro areas of Orlando, Tampa and Jacksonville as well. 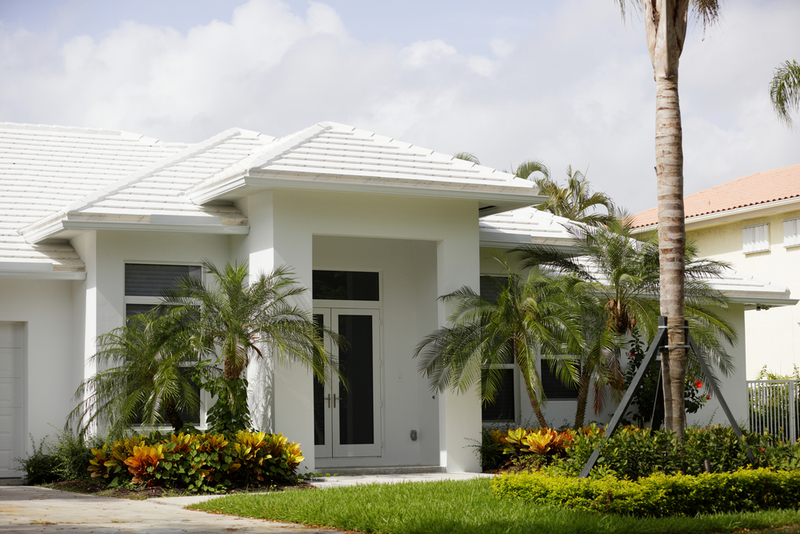 “There’s an ongoing shortage of housing inventory in many markets across Florida,” said 2018 Florida Realtors President Christine Hansen, broker-owner with Century 21 Hansen Realty in Fort Lauderdale. “January’s statewide homes sales reflected the tight supply, and – when combined with rising median sales prices – it puts pressure on potential homebuyers.” The condo/townhouse market in South Florida saw sales increase 7.6 percent to 3,023. The median sales price grew 7.1 percent to $180,000. Throughout Florida, sales of condos/townhouses were up 5.9 percent to 7,634 while the median sales price climbed 11.7 percent to $179,000. “Lately, condo and townhouse sales growth has been outpacing that of single-family homes, and the reason is that the picture for condos and townhouses has been much more balanced,” said Florida Realtors Chief Economist Brad O’Connor. “The single-family home market, by contrast, continues to be held back by inadequate levels of new construction.” Miami-Dade County In Miami-Dade County, single-family home sales increased 2.1 percent to 875 while the median sales price grew 6.5 percent to $330,000. Cash deals, which are usually for investors and international buyers, were up 12.5 percent. Active listings declined 5.1 percent, so the inventory at the current sales pace declined to 5.9 months. That’s a fairly balanced market. For the condo/townhouse market in Miami-Dade, sales surged 8.1 percent to 945 while the median sales price increased 3.5 percent to $230,000. Active listings grew 3.1 percent so the supply of inventory increased to 14.2 months. That’s a buyer’s market, with a large overhang of inventory that could make it difficult to aggressively raise prices. Broward County In Broward County, single-family home sales were down 0.3 percent to 979 while the median sales price jumped 10.8 percent to $345,000, according to the Realtors of the Palm Beaches and Greater Fort Lauderdale. Cash deals dropped 21.7 percent. Active listings fell 7.2 percent so the supply of inventory increased to 3.9 months. That’s still a seller’s market, with little inventory for buyers to choose from. For condo/townhouses in Broward, sales grew 7.3 percent to 1,167 while the median sales price increased 8.8 percent to $155,562. Active listings declined 2.1 percent, so the supply of inventory fell to 5.9 months. That’s a fairly balanced market. “With a double digit appreciation in the median sale price of single family homes and continued decline in inventory, we anticipate a very robust and active year for residential real estate in Broward County,” said Ron Lennen, president of the Realtors of the Palm Beaches and Greater Fort Lauderdale. Palm Beach County In Palm Beach County, single-family home sales dropped 3.8 percent to 1,103 while the median sales price grew 4.8 percent to $325,000, according to the Realtors of the Palm Beaches and Greater Fort Lauderdale.. Active listings were down 5.2 percent, so the supply of inventory decreased to 5.2 months. That’s a seller’s market. For condo/townhouses in Palm Beach, sales increased 7.6 percent to 911 while the median sales price surged 13.3 percent to $170,000. Active listings grew 5.1 percent so the supply of inventory remained flat at 6.2 months. That’s a fairly balanced market.